Shows faint signs of previous use. Actual item pictured. Shows light/minor scratches and marks. Actual item pictured. Shows minor scratches and marks. Actual item pictured. P/n B0985101S13100. Acer Cloudbook AO1-431 Base Original Acer Cloudbook AO1-431 Part. We have many more parts available! We carry a wide variety of parts with regular additions to our inventory. At CKC Computers, we specialize in hard to find laptop parts and accessories. We partner with the largest computer part wholesalers throughout the United States and provide the highest quality products available. We strive to be your #1 source for computer parts. All inquires will be answered within 24 hours. Our friendly professional team will try to get back to you as soon as possible! We will do our best to resolve the problem! Due to timing difference, we will response to you within 24 hours. Our working hours are from GMT 2 10:00 to 18:00. We will write lowest possible price on custom declaration. LCD Screens. LCD Covers, Hoods. Manufacturer Part Number: 37ZHABATN00. 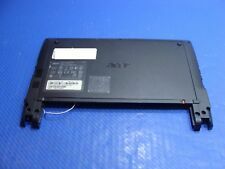 Part taken from a good, working used Acer Laptop. 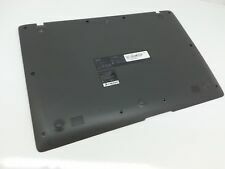 Acer OEM Original Part. Grade B: B Grade parts are used and fully functional. Base Details. Tested and Verified working. We partner with the largest computer part wholesalers throughout the United States and provide the highest quality products available. We strive to be your #1 source for computer parts. Fully tested and working 100%. 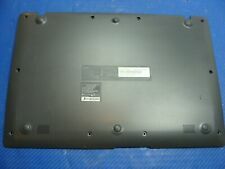 Acer Aspire E5-521 Laptop Bottom Case Cover Speakers Model: Z5WAE. NO CRACKS in this plastic. What you see in the pictures is what you get. Acer Aspire One Cloudbook AO1-131, 1-131, 1-131M. This part is grey in color. Compatible Part #'s: 60. The guidelines are below. Laptop Hinges & Brackets. Laptop Cover Parts. Laptop DC Power Jacks. Condition: Genuine part, Good condition. Shows minor scratches and marks. 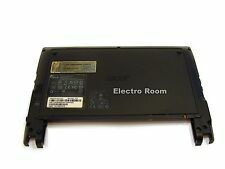 AP06F000400 ACER BASE W/ PLASTIC COVER ASPIRE ONE D150-1920 KAV10 SERIES (GRD B) MISSING ONE RUBBER FEET. Used Grade C This Grading Show That The Item Is In Fair Condition For its Age And Will Show Heavy Signs Of Wear. We will be glad to assist in any way possible. Item was carefully pulled, item is lightly used and 100% Working. Item Condition. Item Condition Item is used and fully functional. We will be glad to assist in any way possible. 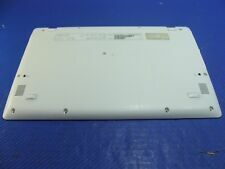 On sale is a working Base, pulled out of an Acer Aspire D255 PAV70 NetBook (10.1" LCD). Base, as pictured. Item is a working pull, in a great working condition, with apparent signs of usage. THIS IS A PRE-OWN ACER ASPIRE ONE KAV 60 BOTTOM CASE PULLED FROM A WORKING UNIT. SPEAKERS ARE INCLUDED AS WELL AS A/C POWER CONNECTOR. Used Grade A This Grading Show That The Item Is In Good Condition For its Age And Will Show Very Minor Signs Of Wear. Used Grade B This Grading Show That The Item Is In Regular Condition For Its Age And Will Show Moderate Signs Of Wear.